Days after around 98 Christians were ‘reconverted’ to Hinduism in Tripura, member of parliament from East Tripura Lok Sabha Constituency and chief whip of CPI-M in Lok Sabha, Jitendra Chaudhury visited the Ranchi Tilla at Kailashahar on Tuesday and interacted with the villagers. 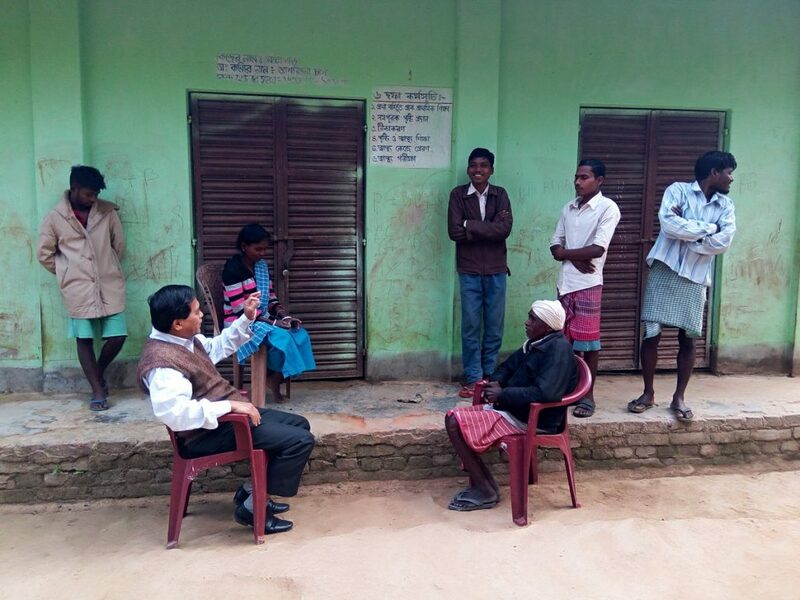 During the interaction, the villagers disclosed that those were instrumental in the conversion happened to be BJP-RSS workers. The villagers also said that they were target of ‘ghar-wapsi’ by the saffron brigade on January 20 last. They said they are trapped, psychologically pressurized and ‘their heart is crying since’ the conversion. Notably, as many as 98 Christians from 22 tribal families who were reconverted to their original religious faith Hinduism through a yajna. The incident has taken place at Kailashahar in northern Tripura’s Unakoti district. Northeast Now has already reported that a local Hindu Jagaran Mancha leader Manimoy along with Gayatri Kunja, a local Hindu outfit, organized the conversion ceremony to help the people of Kablipura Ranchitilla to return to their original religion ‘Sanatan dharma’ after they wished for it.